Tell us a little about the origins of Ms. Murphy Flowers. 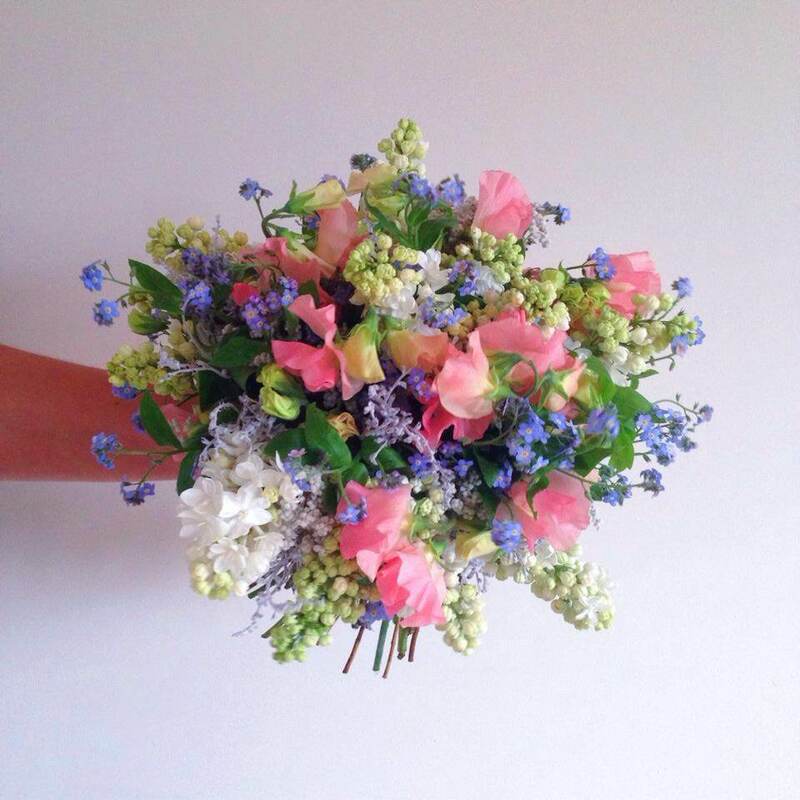 I always had a love of flowers, so when I had the opportunity to work in a florist a few years ago it made me fall even more in love with them. 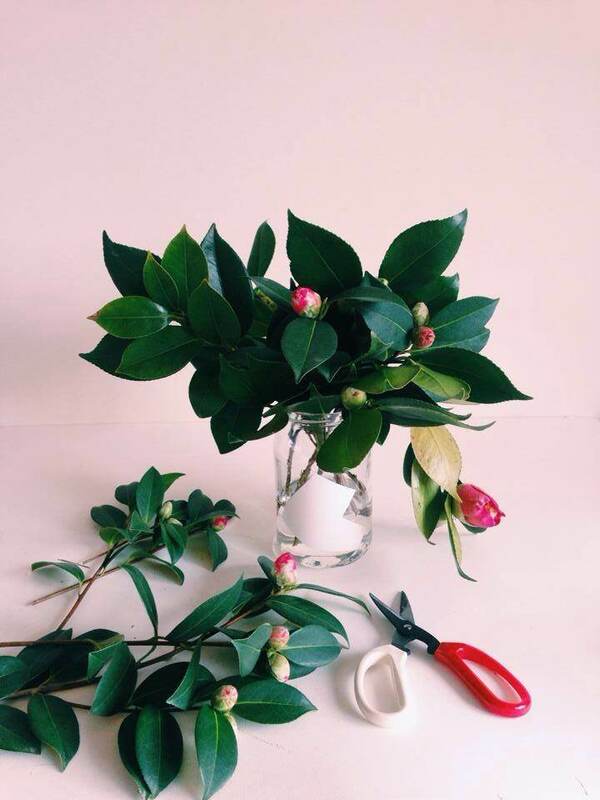 I went on to study floristry and from that grew, Ms. Murphy Flowers. It usually starts with one concept and bleeds into many more. I’m one of those people who wakes up in the middle of the night with an idea and then I can’t sleep because I’m bursting to do it. I’ve always loved the harsh industrial look against rich greenery. When I started playing around with concrete, I thought how great it would be to have it hanging rather than sitting on your table. Now I’m making pots with extra material in the bottom as a point of interest. it all just flows. Anything can give you inspiration if you look at it properly. But if I have to choose, it would definitely be texture. On clothing, flowers, plants many many things. These all inspire you to use them in different ways and pair them up differently. What are your ultimate dreams for Ms. Murphy Flowers? Ultimately I just want Ms. Murphy Flowers to keep going in the direction it’s going. I’m lucky enough to be involved with many different elements and ideas. That’s all I want. 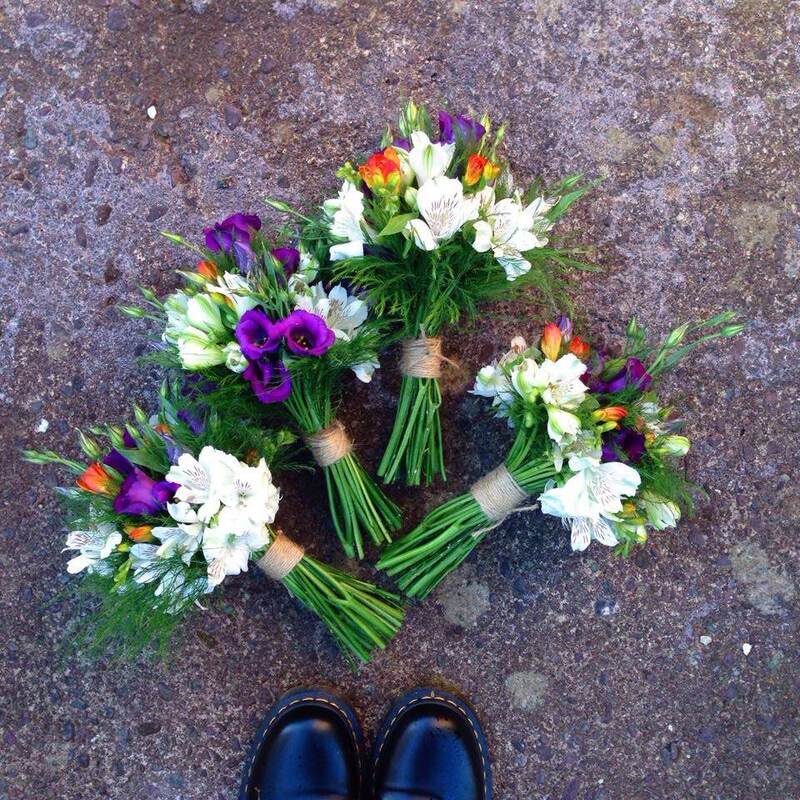 What will will we find from Ms. Murphy Flowers at our October Bend and Snap Market? You will find different varieties of concrete pots, hanging pots, terrariums, the use of glass against concrete and many more. I want it to be a feast for your eyes! 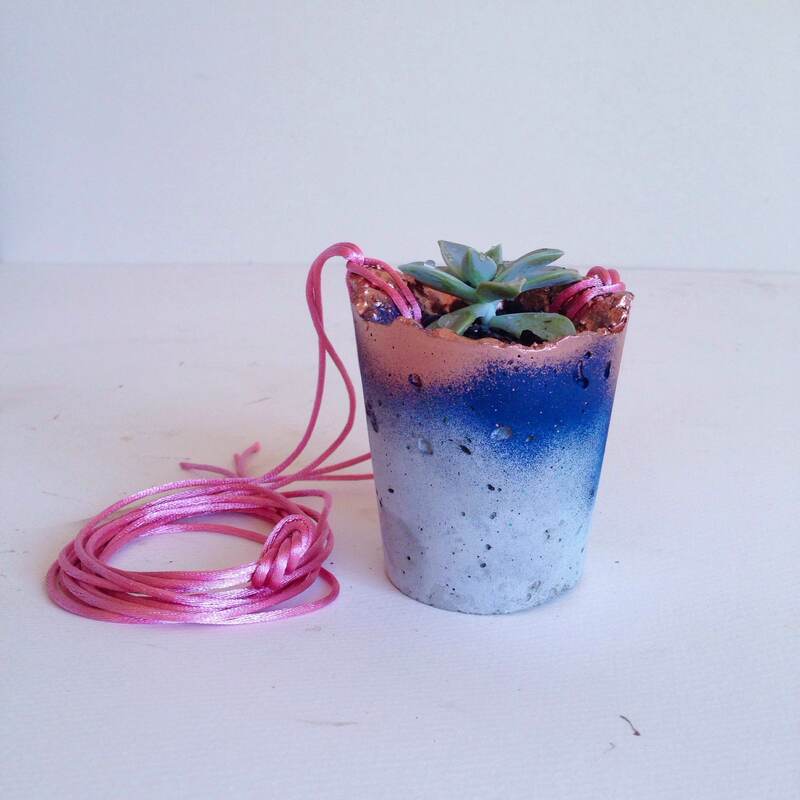 Hanging Concrete Pot & Succulent Workshop presented by Colour Box Studio and facilitated by Ms. Murphy Flowers at Bend and Snap Market. Colour Box Studio is a pop up art space and community creative hub. We’re proud to present creative programming where you can explore your creativity & connect with your community whilst providing a platform for Melbourne creatives to showcase and share their work. 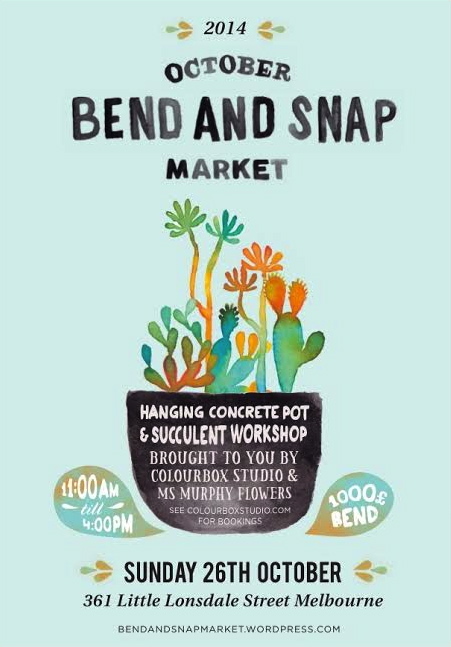 Colour Box Studio is stoked to be working with Eavan Murphy of Ms. Murphy Flowers for this exclusively designed workshop for Bend and Snap Market. 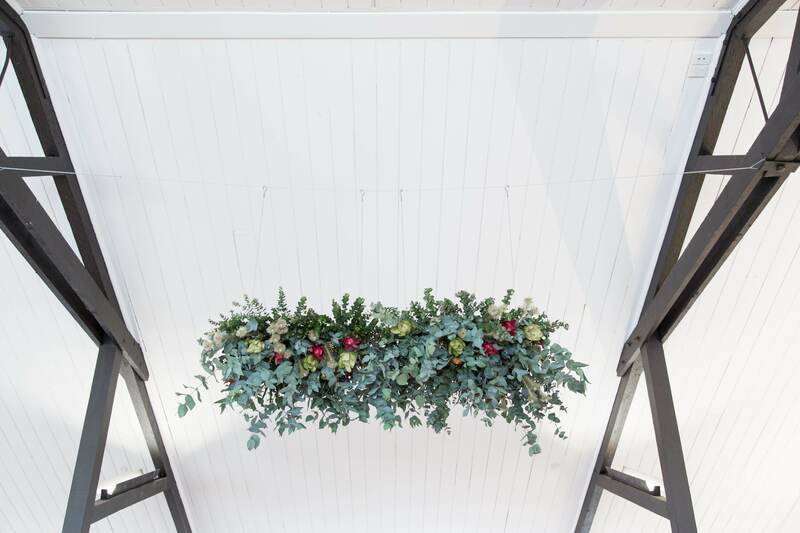 Eavan brings a fresh and innovative approach to floristry and interior design with her signature concrete vessels, bold taste in flowers and keen eye for styling all under the name of her creative business Ms Murphy Flowers. We hope you join us for the workshop on 26th October.